We look back: The last decade has seen a large increase in the number of countries that have officially abolished the death penalty or eliminated the use of the death penalty in practice. 8 countries have abolished the death penalty for ordinary crimes. According to Amnesty International, 21 countries recorded executions in 2011, compared to 31 countries 10 years ago. Even the USA, one of the worst offenders in the use of the death penalty, has shown progress as individual states have abolished or limited the death penalty. Many other countries have also abolished the death penalty in the past decade, including: Albania, Argentina, Armenia, Bhutan, Burundi, Cook Islands, Gabon, Greece, Kyrgyzstan, Latvia, Mexico, the Philippines, Rwanda, Samoa, Senegal, Togo, Turkey and Uzbekistan. Several countries that have not legally abolished the death penalty have at least ended it in practice, either by declaring an official moratorium or by not carrying out executions. For example, Sierra Leone and Nigeria have declared a moratorium on executions, and Tajikistan has had a moratorium on both death sentences and executions since 2004. Many countries that have not yet abolished or imposed a moratorium have taken steps to narrow the scope of the death penalty. Kazakhstan has abolished the death penalty for ordinary crimes. China recently eliminated the death penalty for certain economic crimes, and it has reintroduced mandatory review of all death penalty cases by the Supreme People’s Court. Persons suffering from intellectual disabilities: in 2003, the US Supreme Court prohibited the execution of people with intellectual disabilities. Persons suffering from mental illness: Thailand has ceased using the death penalty against persons suffering from mental disorders. Juveniles: while a few countries, including Saudi Arabia, Sudan and Yemen, have sentenced juvenile offenders to death, Iran was the only country in 2010 and 2011 to still execute those under the age of 18 at the time the crime was committed. In a promising move, in May 2011, Sudan accepted the UN Human Rights Council recommendations that it would not apply the death penalty against juvenile offenders. Pregnant women: In 2003, Uganda stated a death sentence cannot be imposed on a pregnant woman, and she will receive a sentence of life imprisonment instead. Drugs: 32 countries or territories still have laws imposing the death penalty for drug offences. Drug offenders make up the majority of those condemned to die in many retentionist countries. Homosexuality: some countries, including Liberia and Uganda, have launched efforts to impose the death penalty for acts of homosexuality. Terrorism: some countries are adopting or amending laws for terrorist crimes or against those supporting terrorist acts - not necessarily lethal ones. Syria imposed the death penalty for those arming terrorists in December 2011. Bangladesh, India and Nigeria have also adopted laws expanding the scope of the death penalty by including terrorist acts among the offenses punishable by death. Certain countries have resumed their use of the death penalty. Afghanistan, Taiwan, Equatorial Guinea, the United Arab Emirates and Japan have resumed executions after a hiatus, in stark contrast with the global trend of abolition. Finally, countries such as China and Iran continue to carry out their executions in secrecy, contrary to fundamental notions that such information should be made available to the public. Moreover, transparency is critical to prevent errors or abuses and safeguard fairness. Promote national legislation abolishing the death penalty. Increase ratifications of the Second Optional Protocol to the ICCPR, aiming at the abolition of the death penalty. 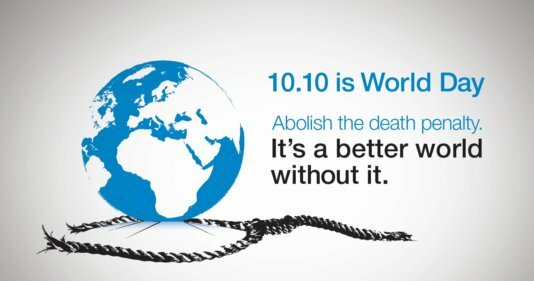 Support international standards calling for the abolition or restricted use of the death penalty. Support adoption of the 2012 UN General Assembly Resolution on a moratorium: in December 2012, the UN General Assembly will vote on a fourth resolution on a moratorium on the use of the death penalty. The world of the factory worker seems to be outdated, and long gone, but there is a new era of labour upon us—and it’s beginning in China. “Anybody who does business in China compromises some of their core values." John Hennessy, Alphabet Inc.
From Nigeria to the Congo basin to Mozambique in South Africa, the rapacious Chinese appetite for unprocessed timber has left a trail of destruction. Bishan, a village in Anhui Province has been chosen by Ou Ning, a social activist and artist, for a prototype of rural life revival in China. Can it work? Is Trump’s popularity in China a long-term deal?